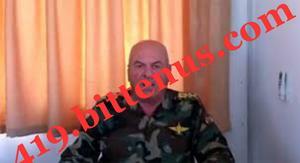 I am Adnan Silu, Major General and former head of Syria's chemical weapons program to President Bashar al-Assad. I served the government diligently .I am presently in Syria, and I don't know when I will be out from here as I have duly resigned my position and held by the government for not supporting bad activities and joined my country's citizens who government refused to defend by killing and destroying all their investment. I can't be against the people i served. I am seeking your assistance to help me move the sum of US $22,400,000.00(Twenty Two Million Four Hundred Thousand United States Dollars) to your bank account in your country or any safe country as far i can be assured it will be safe in your care until i found my way out from here .I don't know if i will be alive or not. I have secured this money in a safer place presently. I will offer you 40% from the total amount for your assistance, be rest assured that this business is 100% safe on your part provided you treat it with utmost secrecy and confidentiality, please. The era of our wicked President Bashar al-Assad Government here in Syria has gradually and closely coming to an end with the involvement of United Nation and the Arab league because of his killing and evil activities. You will never regret this help. Kindly send me an e-mail signifying your interest in this transaction with your details. I need your personal information such as your telephone number, occupation, a scanned copy of your international passport and residential address as I will put you in touch with financial institution where the said funds were deposited, however, the funds can be deliver by diplomatic means or bank to bank transfer, but this is the best way once we have all the required documents to back the funds up. Here are my reasons for contacting you. hundred percent genuineness, I got this funds when I was in government. 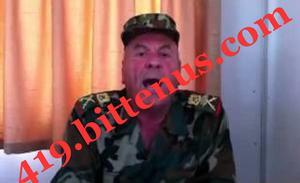 As I did introduce myself in my previous mail, I am Adnan Silu, Major General and former head of Syria's chemical weapons program to President Bashar al-Assad and I served the government several years before the civil war broke out in Syria then I decided to resign my position because I do not want to sore my hands with the blood of the innocent Syrians. Actually, I contacted you concerning the sum of Twenty Two Million Four Hundred Thousand United States Dollars ($22, 400, 000 US Dollars) that I deposited in South East Asia by the help of my lawyer, so I want you to help me and invest the funds then my family will join you in your country and I am planning an escape route once you have confirmed to me that the funds are in your account. Lastly, more details will be given to you once you have replied my mail and totally accepted to work with me and achieve my goals and the lawyer contact in South East Asia and the banks contacts will be given to you in order to carry out this project successfully.